Fantastic! That’s the word Jeb Lewallen 26, uses to describe his apartment in Aldrich 51, a 240-unit affordable community that opened last year in the Mueller Development. Low and moderate- income working families and individuals are an integral part of the community’s resident base. 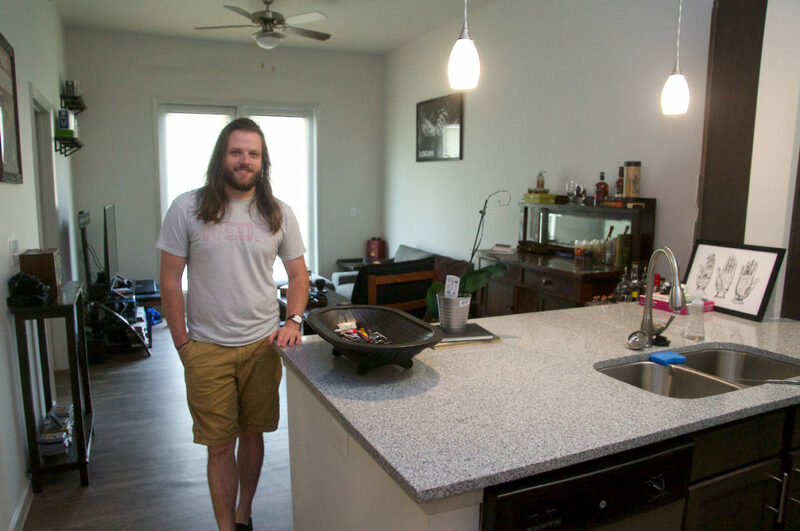 “I’m the first person to live in the apartment, which is amazing,” said Lewallen. “It’s all mine. All new appliances, granite countertops, new bathroom.” The complex also boasts a wide array of high-end community amenities, including a community room, complimentary Wi-Fi, coffee lounge, fitness studio and swimming pool. Lewallen started working as a bartender at the Alamo Drafthouse Theater in Mueller about a year ago. Although he’s working full time and makes a livable wage, he felt there was no way he could have afforded an apartment close to work without having at least two roommates. He was living with relatives when co-workers tipped him off that Aldrich 51 was opening soon, and the prices would be affordable. 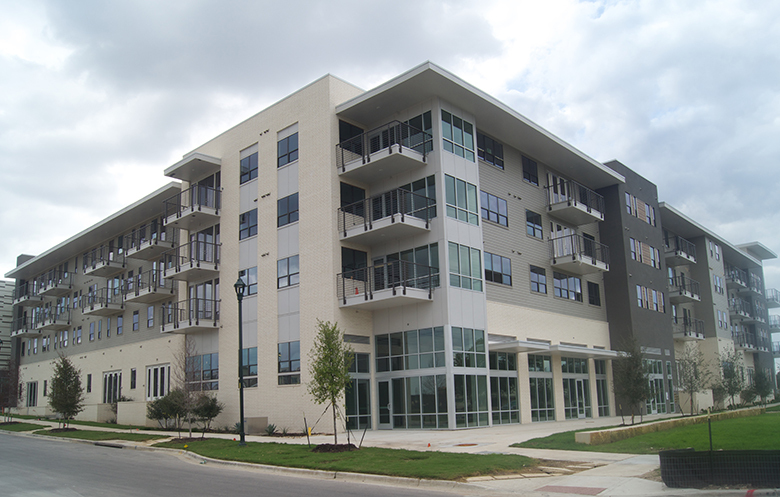 Aldrich 51 was built by Austin-based DMA Development Company with help from $2 million in affordable housing bonds, another $2 million from community development block grants and more than $10 million from RBC Capital, which purchased housing tax credits. The vast majority of the apartments are reserved for renters who earn less than 30, 50 or 60 percent of the area’s median family income (MFI).